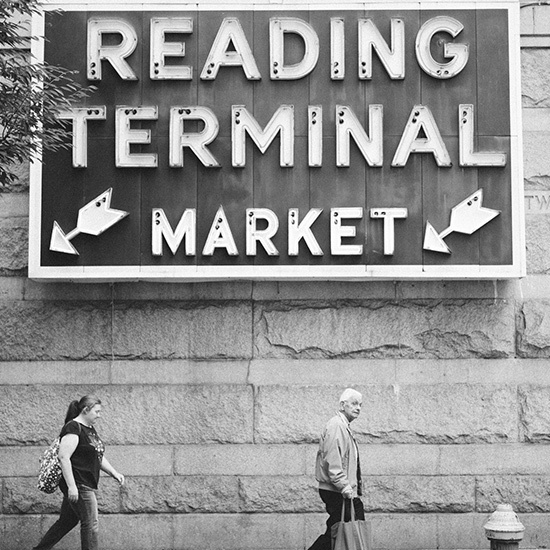 Photographer Neal Santos is the perfect guide for F&W's Philadelphia Photo Tour. A founder of the project Farm 51, which grows produce and raises chickens in urban West Philly, Santos fills his popular Instagram feed (@nealsantos) with scenes from life as a local food obsessive. When he’s not taking mobile pics, he loves using his dad’s Canon A-1 film camera: “It’s a sensory experience: the smell of my childhood house in Jersey City, the sound of the shutter, the feel of the spring and the mechanisms. There’s absolutely nothing like it.” Click through his photo set and then check out his top Philadelphia picks for where to pop cannoli, drink old-fashioneds and stay in a boutique hotel, below. Best Philadelphia restaurant. Too many to choose, but the folks over at Vernick Food & Drink have the tastiest uni dish. Barbuzzo’s salted caramel budino is the perfect blend of sweet and salty. Paesano’s panelle sandwich is my go-to lunch. The list goes on. Favorite Philadelphia bakery. Termini Brothers for any of the cannoli. The Metropolitan Bakery is a close second for its bread. Top Philadelphia bar. Vernick Food & Drink for an old-fashioned. Philadelphia boutique hotel. Hotel Palomar. Best affordable activity for a visitor. Try a walking tour of the Italian Market, kayak the Schuylkill River for one-of-a-kind views of the city, or hit up as many Philadelphia murals as possible. Favorite shop. DiBruno Brothers in the Italian Market for some of the best cheeses sourced locally and beyond. The cheesemongers are extremely knowledgeable and friendly, and don’t be afraid to ask for samples. Ultimate Philadelphia souvenir. A basket of whoopie pies, a few bottles of spirits from Art in the Age, and a mixed six-pack of locally brewed beers. Try the whoopie pies from Flying Monkey or any Amish baker in the Reading Terminal Market. I like Art in the Age’s Sage and Root spirits. And make your own six-pack at the Foodery. Tips for shooting (especially food). Always try to tell a story, especially when it comes to food. Don’t be afraid to introduce human elements: the hands of the chef who prepared it, the face of the farmer who grew it. Put dishes on chairs, on floors, shoot through windows and capture reflections.